Brain Plasticity, Neuroplasticity, What Is It Anyway? By now you’ve probably heard the terms brain plasticity or neuroplasticity. You are most likely wondering, what is it, do I have it, can I get it, is it contagious, should I want it? Well, I am going to explain it in simple terms in hopes of giving everyone a clearer, better understanding of brain plasticity or neuroplasticity. First, brain plasticity and neuroplasticity mean the same thing and the terms are interchangeable. It basically refers to the brain‘s ability to change for better or worse. Inside our brains we have axons, dendrites, nerve cells, gray matter. When we learn new information, our brains actually form new neural or nerve pathways enabling us to retain the newly learned information. Then of course we must reinforce this newly acquired knowledge. Isn’t that fabulous? As we continue to learn, we can continue to add new pathways. Of course, pathways can change when we forget things. Keep in mind, this is a simplified definition of brain plasticity. As Speech-Language Pathologists, we are expertly trained in brain science and neuro anatomy. Speech-Language Pathologists diagnose and treat cognitive, communication, language, and speech disorders. Therefore, we are uniquely qualified to conduct brain fitness classes to help individuals improve cognitive skills while building a cognitive reserve to stave off Alzheimer’s Disease and dementia. Our brain fitness classes at BrainMasters, are different from the computer based programs, as ours are based on principles of cognitive skills development as utilized in Speech-Language Pathology. Our classes focus on improving memory, problem solving, thought organization, reasoning skills, judgment, executive function, processing speed, thought flexibility, focus and concentration skills, and attention skills. Classes are conducted in a group setting that is interactive, enjoyable, and entertaining. We provide compensatory techniques and strategies that will assist each individual achieve carryover of the desired skills. At BrainMasters, we help you capitalize on your strengths while strengthening your weaknesses utilizing the principles of brain plasticity. Our programs can be customized and adapted to accommodate any age group from teens to my 96 year old grandmother! So, baby boomers, take advantage of the opportunity right in front of you-enroll in a brain fitness program. You’ll be glad you did! 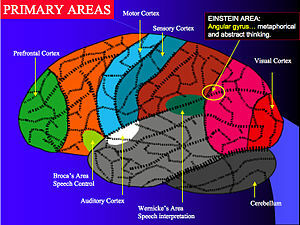 Best of all, at BrainMasters we bring our classes to your location at your convenience! Posted on November 29, 2010, in Ageing, Aging, Alzheimer's, Alzheimer's Disease, Anti Alzheimer's, Anti Alzheimer's Disease, anti-aging, baby boomer, Baby Boomer Activities, baby boomers, Baby Boomers Activities, Brain, brain fitness, Brain Food, Brain Foods, brain health, Brain Plasticity, Build Brain Power, cognition, cognitive reserve, Dementia, executive function, exercise, health, health and wellness, Health benefits of spices, Healthy Aging, Healthy Eating, Healthy Living, Healthy spices, Improve brain function, Improve Memory, Improve Thinking Skills, judgement, judgment, Longevity, memory, Memory Loss, Mental fitness, Mental Stimulation, Prevent Memory Loss, problem solving, reasoning, Senior Activities, Senior Fitness, senior health, Spices, Spices for brain health, thought flexibility and tagged Alzheimer's disease, Anti Alzheimer's, Anti Alzheimer's Disease, anti-aging, Baby boomer, baby boomers, brain, brain fitness, brain plasticity, Cognition, cognitive reserve, Conditions and Diseases, Dementia, executive function, Fitness, Grey matter, health, health and wellness, healthy aging, Healthy diet, judgment, longevity, memory, Memory Loss, mental fitness, mental stimulation, Neurological Disorders, Neuron, neuroplasticity, Physical exercise, Prevent Memory Loss, problem solving, Senior Fitness, senior health, Stress management. Bookmark the permalink. 1 Comment.